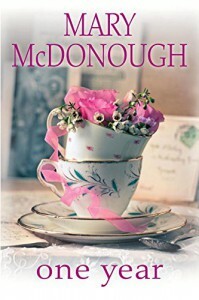 This story is all about family and specifically three generations of women in one Irish Catholic family (I mention Irish and Catholic because both are strong elements throughout) -- domineering matriarch, easy-going daughter-in-law, and just-joined-the-family-and-all-that-that-implies granddaugher-in-law. We read this and discussed it for my local book club. It was interesting that we all could find something in the story we related to in one way or another. And we all commented on how the author (Erin from "The Waltons") did a great job telling the tale from each of the female characters' perspectives, so we always knew their inner thoughts and reasoning.